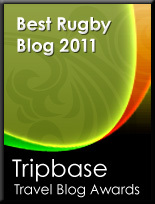 TOTAL FLANKER...a rugby blog: Our Rugby Club? Blimey. Today is obviously a day for extreme ideas because, over on The Rugby Blog, they're publicising a radical new venture called "Our Rugby Club". The idea behind Our Rugby Club is that rugby fans are given the chance to help a small or medium-sized rugby club climb through the leagues by offering collective financial assistance. By bringing together a community of like-minded rugby supporters and by pooling financial resources, Our Rugby Club intends to invest in a club to enable it to purchase state of the art training equipment, attract new players and coaches and provide everything required to transform the club and move up through the leagues. Our Rugby Club members will pay an annual subscription of £30, every penny of which, it's claimed, will be invested in the partner club. The target is 10,000 members, enabling Our Rugby Club to fund the club in question to the tune of £300,000 per year. I absolutely love the idealism that is driving this venture and I'm sure there'll be no shortage of clubs clamouring for the funding - but I wonder whether those behind the venture realise just how much admin will be involved (and the subsequent cost), and I'd have serious doubts about whether £300,000 per year would even come close to achieving Our Rugby Club's stated goal of helping "transform the club into a Premiership heavyweight." 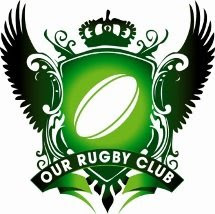 For more info take a look at The Rugby Blog or check out http://www.ourrugbyclub.com/. I think it sounds quite interesting. The difference they will make depends on the level of club they target, but I guess the 300k is just an estimate - if they get more members, they'll obviously have more money! I think it could take off, and definitely worth keeping an eye on it. Very interesting, the rugby version of my football club. i agree that the level of money they are preparing to give wouldn't keep an amatuer side afloat in premiership but it would be a useful addition to existing income for that club.